Poker players looking to perk up their game will have the chance to pick the brain of some of the game's sharpest minds courtesy of a special coaching event in London next Tuesday and Wednesday. The brainchild of former Bluff Player of the Year Sorel Mizzi, 3D Poker Training aims to offer something different to the other coaching platforms already on the market. Mizzi has lined up a stellar cast of coaches for the two day event including Pocket Fives instructor David 'GhettoFabulous' Randall, high stakes heads up specialist Daniel 'Jungleman' Cates, 2013 EPT Grand Final Super High Roller champ Max "AltiFC" Altergott and PokerTracker software executive Steven McLoughlin. Subjects on the curriculum will include fundamentals, a Main Event final table simulation with WSOP November Niner Sylvain Loosli (who will be attending as a student), six-max and heads up concepts, how to get the best out of Poker Tracker and much else besides. 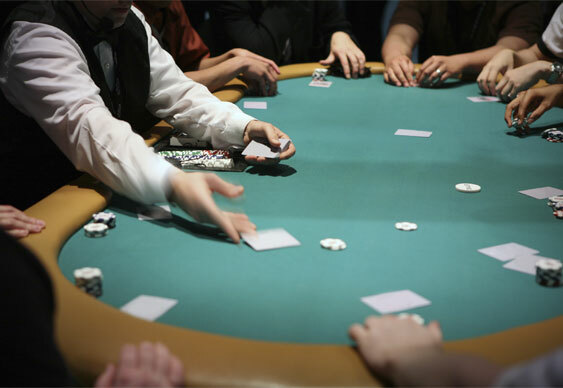 The 3D Poker Training event takes place at Imperial College in London on 1 and 2 October 2013. Tickets are priced at €2,500 with registration capped at 20 students. To sign up visit 3D Poker Training.